The Team at All Hours Emergency Plumber understands that plumbing systems can fail and when they do, it can create a chaotic and traumatic environment for the individuals it affects. A plumbing related flood may cause extensive damage to a home and considerable stress for the homeowner. We know plumbing floods and when they happen, we know how to handle them from start to finish. A knowledgeable and State Certified plumber is invaluable during this type of crisis and should be the only person that you allow to address your plumbing issues. There are four components to every plumbing related flood. First, there is the IDENTIFICATION OF THE SOURCE OF THE LEAK. Next, a REPAIR must be made to the component or system that failed. Oftentimes this involves a simple fix but sometimes it gets more complicated. The third component is the clean up. At All Hours Emergency Plumber, we recognize that after a flood happens, there may be a considerable water extraction and drying process that needs to follow. Getting your home back to a proper drying standard is a science and NOT something a homeowner should ever try to accomplish on their own. If water extraction and controlled drying is not done in a timely manner, mold can develop and can lead to health and safety issues. Proper equipment (i.e. air movers, dehumidifiers, injecti-dry, negative air scrubbers, portable extraction, thermal imaging, PDC cavity drying system, ULV fogging) is needed to do the job right the first time and prevent costly repairs or remediation down the road. We know how to navigate this process and can assist in getting your home clean and DRY. Lastly, there is the rebuild process. If your home has extensive damage resulting from a flood, then you may need help in the rebuilding process. Again, All Hours Emergency Plumber can help with this process and get your home back in order. 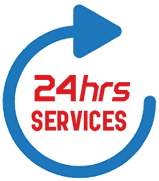 In the event of a plumbing related crisis, All Hours Emergency Plumber is your go-to plumber!